Ucrete HPF is a four component polyurethane concrete system with a flake broadcast. 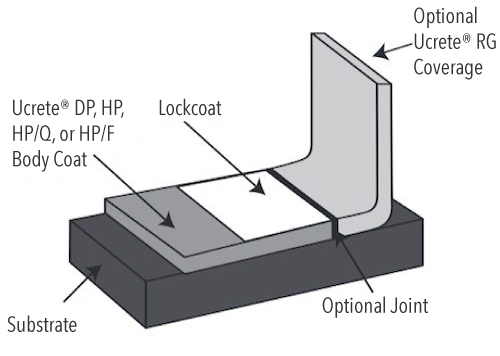 The system is installed at a finished thickness of 1/4 – 3/8″ (6 – 9 mm). The thickness is determined by the service and cleaning temperatures and the severity of traffic expected. Ucrete HPF uses a decorative colored flake broadcast. Ucrete floors are extremely tough and have many physical properties that exceed those of typical concrete.